The purpose of the Dental Center is to meet the community need for increased access to dental services. Dr. Myers is a third generation Colorado native. He attended the University of Colorado at Boulder, and graduated from the University Of Colorado School Of Dentistry. He interned here with the Advanced Clinical Training program, and has lived in Rangely now for 20 years. 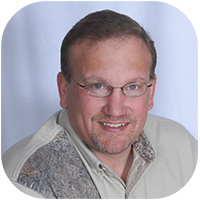 Dr. Myers enjoys most outdoor activities including hunting, camping, competitive shooting and flying.